Razorback fans don’t do anything halfway. 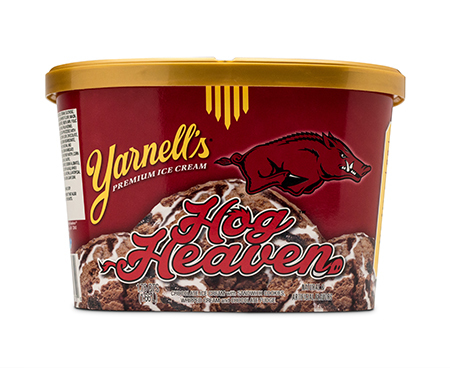 So when it comes to tackling a chocolate craving, only Yarnell’s Hog Heaven will do! We start with rich chocolate ice cream, then kick it up with chocolate cream-filled cookies, chocolate fudge and swirls of whipped cream. Every scoop is over the top – just the way we like it. A little taste of heaven? Nah. Razorbacks go for the whole bowl.